The Clean Energy Council wants Australians to send a clean energy policy message to Canberra ahead of May’s federal election. The peak body for the renewable energy industry says Australia is at a crossroads and needs a “strong, sensible and enduring clean energy policy”. The Clean Energy Council urges Aussies to lobby Canberra for a clean energy policy. The Council’s policy recommendations include a commitment to zero carbon emissions before 2050 and 50 per cent renewable energy by 2030. It also wants the government to retain the Small-scale Renewable Energy Scheme, which cuts the cost of rooftop solar installations. Right now, the scheme-driven discount is decreasing each year, and due to reach zero value by 2030. The Council website allows users to determine their local MP and also provides a pre-written message to send. A policy booklet and social media tiles on the clean energy policy are also available for download. The Council is also calling for network service providers to be permitted to install micro-grids for remote areas. The Council argues that building micro-grids will prove more cost-effective than building transmission lines out to remove customers. Recently, the Council was also critical of the Morrison Government’s Underwriting New Generation Investment program. Although 66 applications were made to the program by the January 2019 cut off, none were for wind or solar power. In a statement, the Council claimed the program could undermine new clean energy generation. 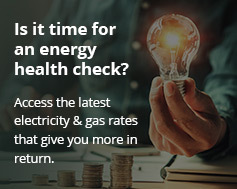 Send a clean energy policy message to your Federal MP via the CEC website.